Since day one, we have been at the forefront of the MTB saddle game, supporting riders for over 20 years. 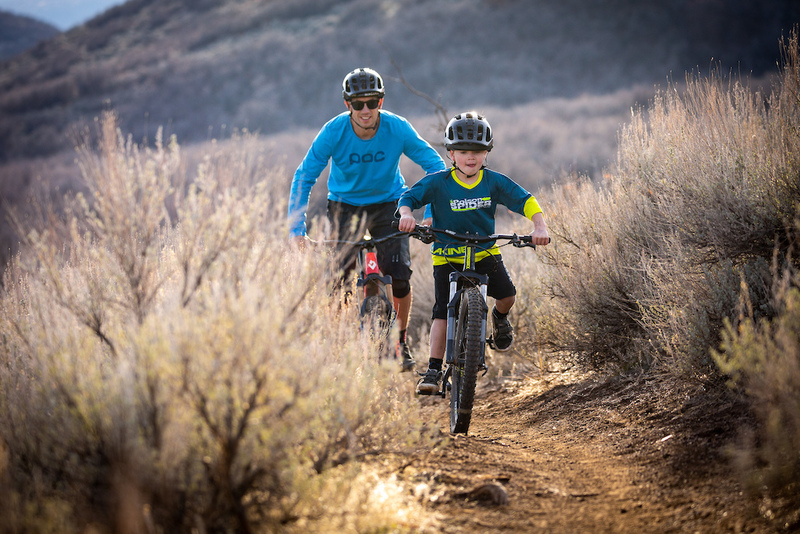 While many are still onboard and riding today, they are having children of their own, which has shown us the need for quality youth components that were truly designed to fit smaller bodies. 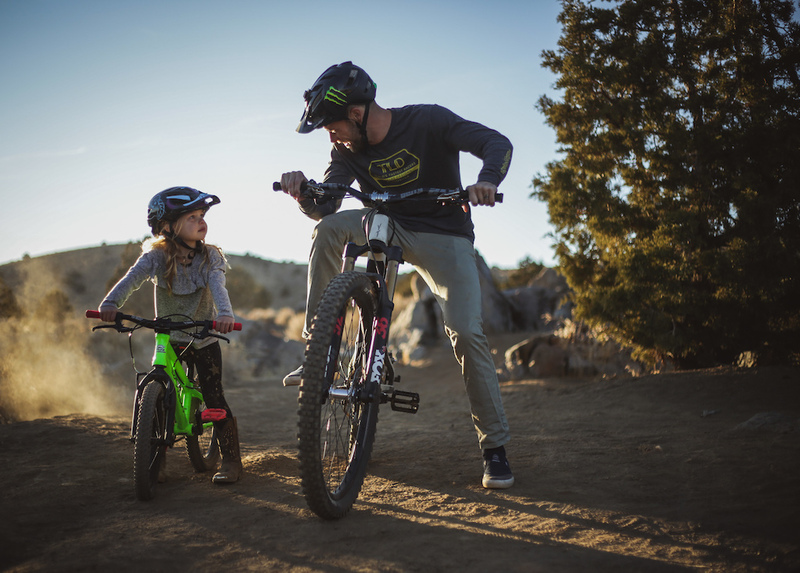 The new Junior Pro Kit allows you to take your family riding adventures to the next level. 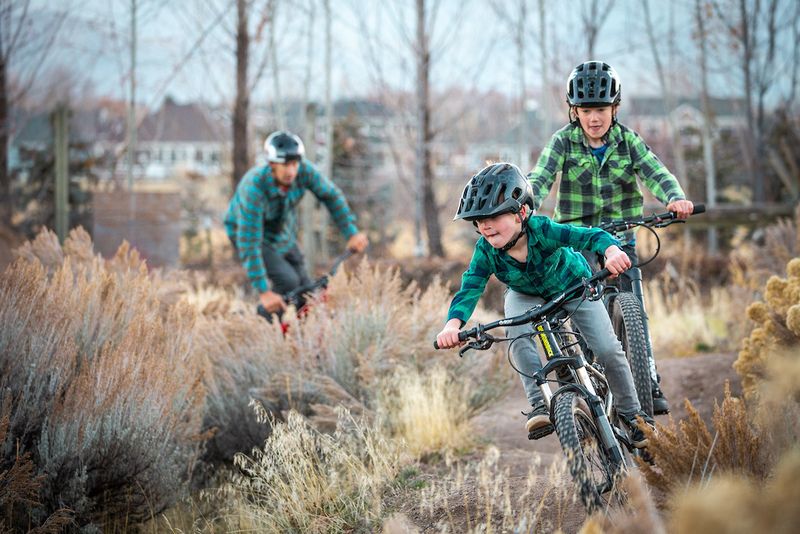 Kids are starting to ride at a younger age, and progressing faster than ever. With sweet new color coordinated parts (just like mom and dad have on their bikes) riding becomes way more fun, and safer too. 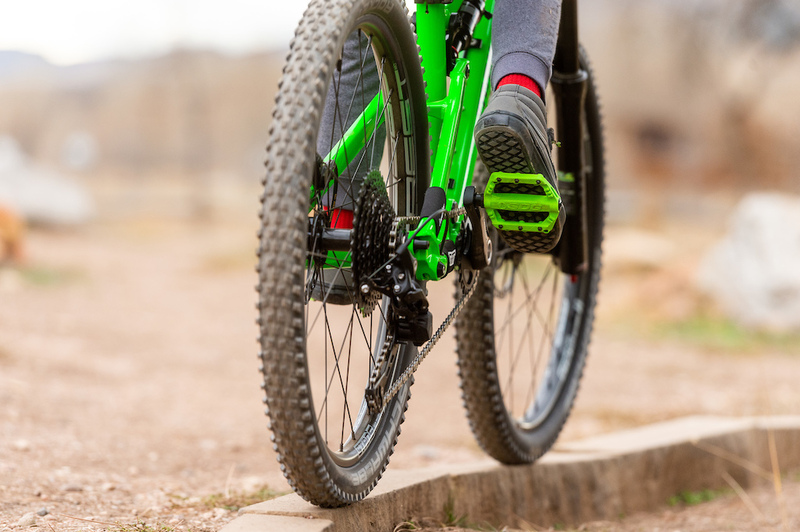 The traction grabbers and replaceable steel pins in the small nylon pedals keep their feet from slipping, while thinner bar ends and smaller OD grips allow for increased control and overall confidence. To top it off, a proper size saddle simply makes the ride more comfortable and enjoyable. The junior line concept has been in the works for a couple years now. As a company originally invested in saddles we started developing the Fly Jr in 2014. Higher end kids mountain bikes were emerging, yet the options for smaller quality seats were limited -- mostly just price point BMX saddles which were far too large and heavy. We set out to solve that problem. 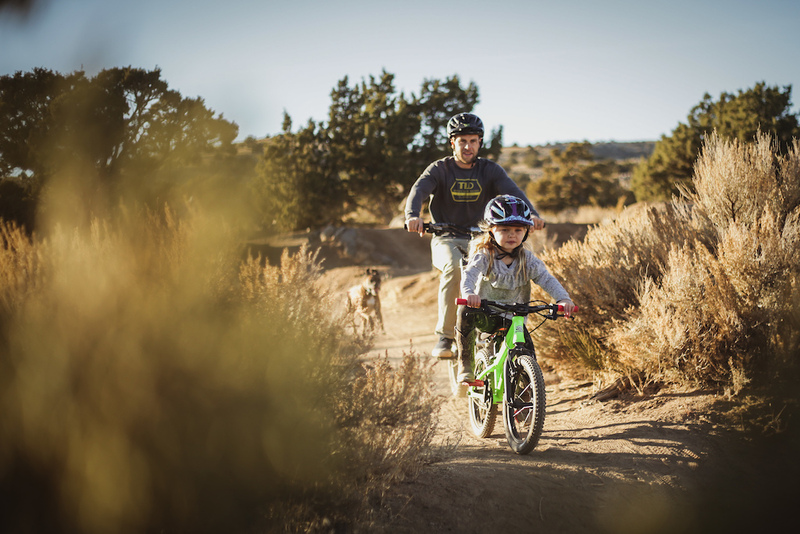 The Fly Jr was the industry's first branded performance saddle specifically designed for youth MTB riders. Some of our OE partners such as Bergamont, Cube, Mondraker and especially Norco were early adopters and used the saddle as an OEM part on their complete bikes. With their insight, along with our riders, friends and their children, as well as our engineer having a 7 year old rider too, we started looking for other ways to improve this underserved segment. 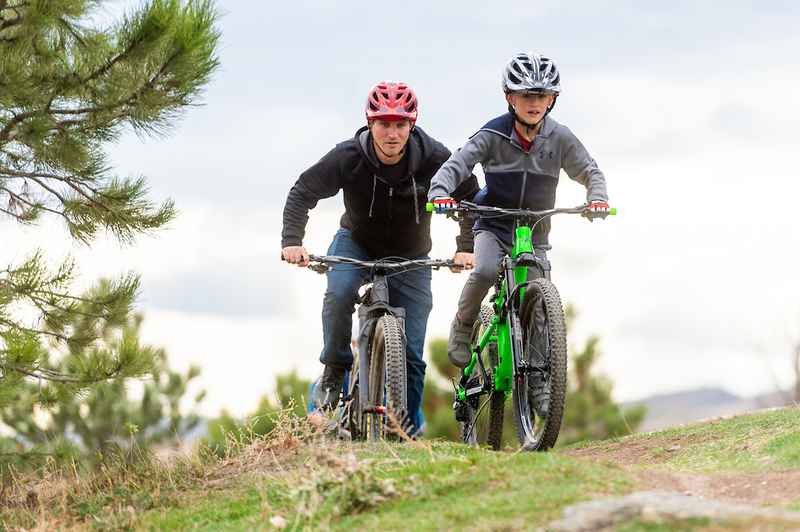 Money doesn’t grow on trees around here either, so we’re fully aware that pricing is an issue for many parents, especially when determining whether to spend on youth components or not. However, we didn’t cut any corners when designing the JR PRO KIT. 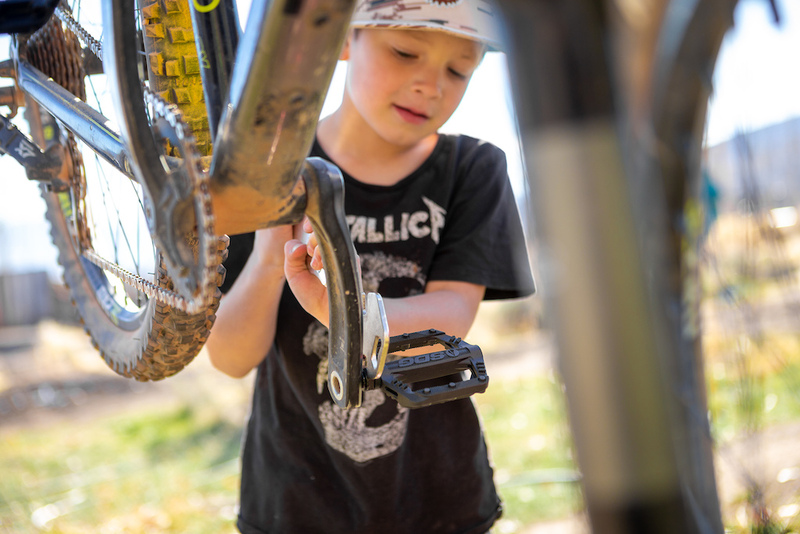 Most children's bike accessories are either mass produced as economically as possible or made in custom small batches that are incredibly expensive. We set out to offer the perfect balance -- parts that are of a similar quality to higher end adult components, at a price that wouldn’t break the bank. We also made them as durable as possible, so they last as long as your child needs. 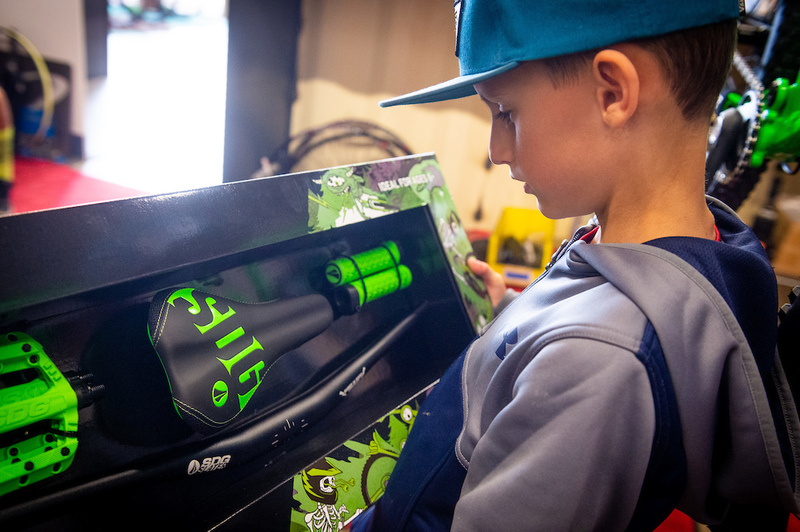 The Fly Jr was the industry's first branded performance MTB saddle designed specifically with youth riders in mind. • Ergonomically fitting for smaller sit bones – shorter and narrower than traditional saddles. 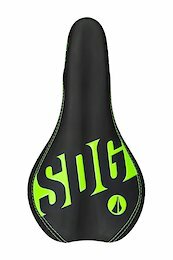 Not just a wide, bulky and heavy BMX saddle. • Slight Rear Rise design enhances pelvis rotation and power from a standard sitting position. • Small Nose platform to aid in climbing. • Ample padding for enhanced comfort. • Syn Leather top and Cordura protective sides for increased durability. • 235mm x 122mm, 270g. 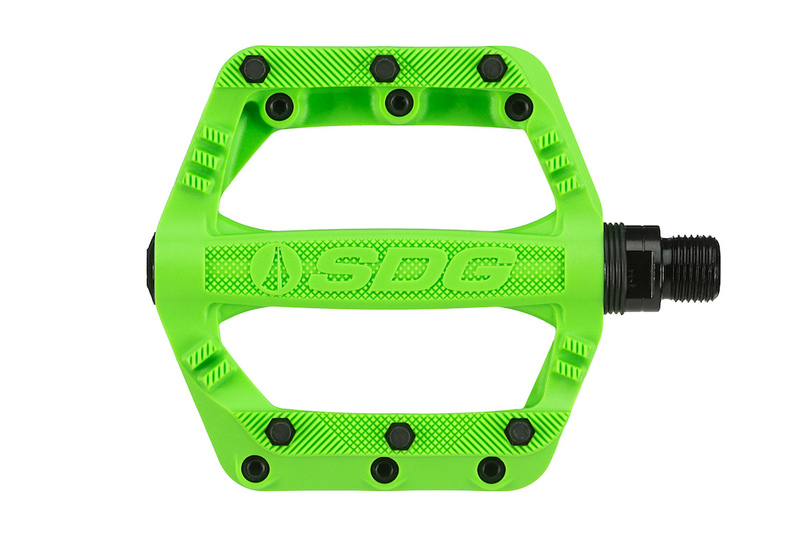 The Slater 90 pedal features a 90x90mm platform that is optimal for smaller feet. Unlike most children’s pedals (plastic body, steel axle, loose ball bearing and molded pins that easily wear out in weeks), the Slater 90 pedal strikes a balance between those cheap disposable plastic pedals and the uber expensive machined aluminum ones. • Small 90x90mm nylon composite body and low profile height (18mm). • 6 bottom loading, replaceable 2mm high steel pins per side. • Gripper profile for enhanced pedal traction. • Replacement and service parts available. More aggressive and advanced pins coming. • 1pc, integrated lock-on grip system. • Tapered and slotted core to eliminate slippage. • Plush SDG Icon pattern that offers total grip control and vibration dampening. • 19mm ID mount fits exclusively to 19mm bars. • 115mm Length, 25-26mm OD, 55g. • Tooled specifically for performance youth riders. • Bar ends taper to 19mm and exclusively works with 19mm grips. *Slater Jr.
• 650mm width for increased bike control. • Comes with 4 x 15mm nylon shims to mount standard shift and brake levers. • 31.8 mount. 20mm rise. 8 deg back sweep, 5 degree upsweep. 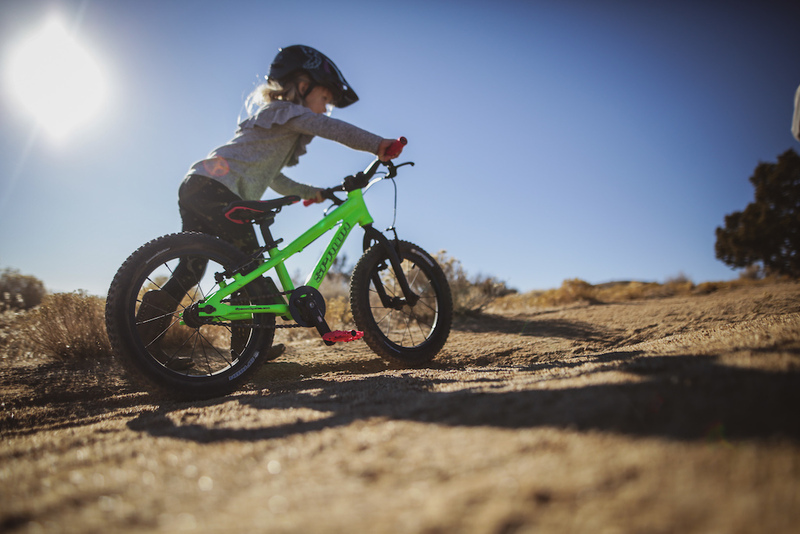 All of the premium components in the JR PRO KIT cater to a range of youth riders and ages, ideally running 18” to 24” wheeled bikes. Available in 4 colorways: Black, Neon Pink, Neon Green and Cyan Blue, the JR PRO KIT is now available worldwide for $149.99 USD. Additionally, all of the components included will be available separately in late January 2019, along with replacement parts and rebuild service kits. *A special thanks to Randy Noborikawa for the cool, hand drawn illustrations. Very cool kit. Now someone just needs to come along with kid-hand suitable brake levers. No point in having the correct size grips when you're forced to 4-finger brake while only resting your palms on said grips. Shimano Deore, SLX, XT comes the closest me thinks. Now we need Shimano and SRAM juniors. 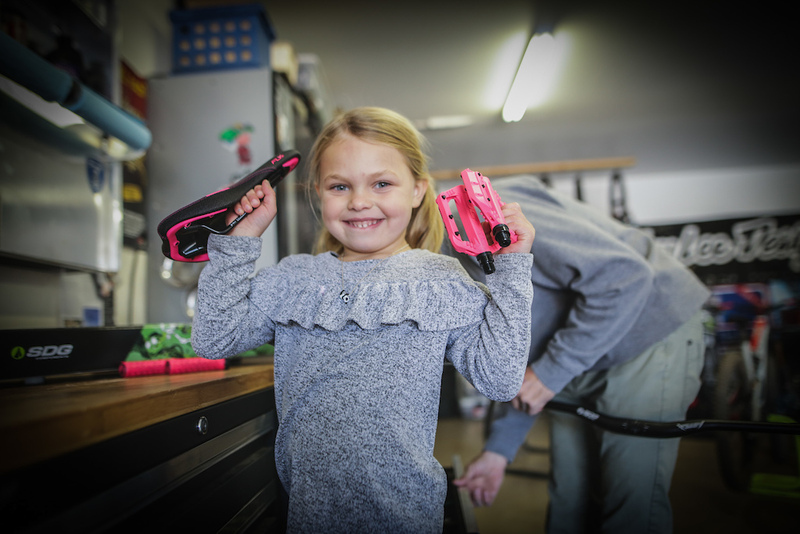 shimano disc brake levers are good for my 7 year old daughter. When it comes to cables, deore/xt do the job, even for my 4,5yr old son. He has kids specific brake lever that has same cable pull point as regular one, the lever blade sit closer to the bar and is shorter, but frankly it doesn’t help. I think it even makes it worse. So get Deore levers as long as bar width allows it. @Swangarten: haha Hayes... Seriously though we're talking actual stopping power here. This is a great example of when the bike industry gets it right. absolutely! 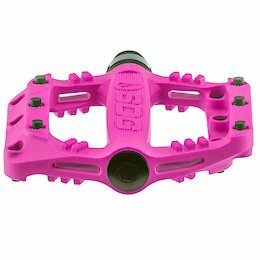 my kid is getting her first real bike at christmas, scott roxter mid fat, and this might be just the right upgrade if she really takes off on it! Exactly! 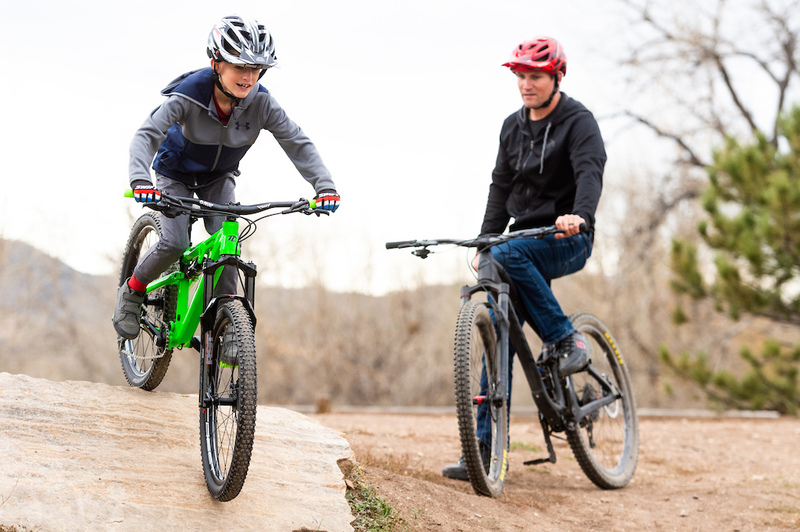 getting a even a close fit of a bike to a kid helps so much with the handling and their confidence. Way to go SDG. 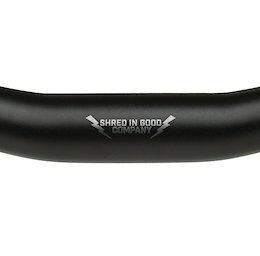 @SDG-COMPONENTS - Please please never stop making the Hansolo grips. The thought of you not making them anymore keeps me up at night. Keep up the good fight and Merry Christmas to you! I think its a pretty nice set and a very reasonable price. Kudos to SDG for making stuff for an undeserved group(and I don't even have kids). Would really like to see some crank advancements though. 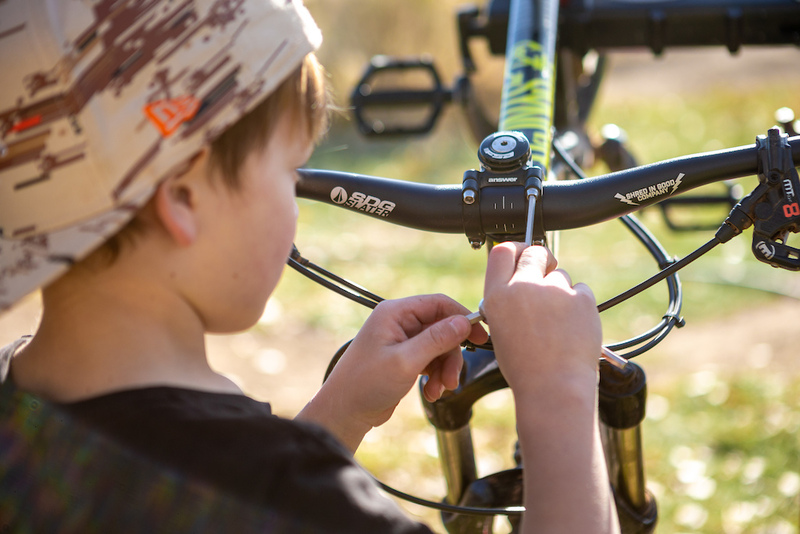 Ah, finally someone who reduces the bar diameter in order to fit thinner grips for kids. Loving it! 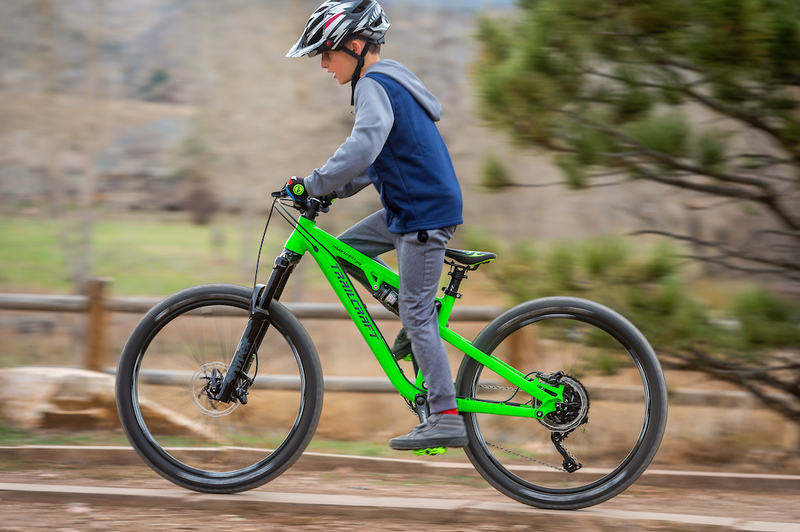 Just curious (and sorry if it was in the article and I missed it), how do you fit brakes and the shifter designed for regular/thick bars? 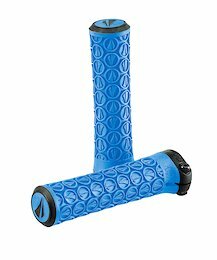 Do you have a sleeve or would I just wrap something around the bars until it fits? @OnTheRealMedia: Thanks, that's good to know! Ideally those shims are offset so that they actually shift the entire brake master closer to the grips. Not sure if that would cause issues for those running matchmaker type clamps, of course. Haha, bike riding in cowboy boots- love it! Reminds me of something my little girl would do. And so cal(south west) riding season!!! That girl is skilled!! Riding in COWBOY BOOTS!!! @WAKIdesigns pedals are easy to find in a small size. Type depends on how much you want to pay. Sorry but the price is expensive. It isn' t$150 in the UK but £150 and that is shop price. That isn't to say they aren't interesting products and look forward to seeing how much the bar and grips cost alone given the saddle can be bought for £30. Heh, I don’t want to pay more for my kids pedals that I pay for mine. Options under 70£ are limited. Very cool! 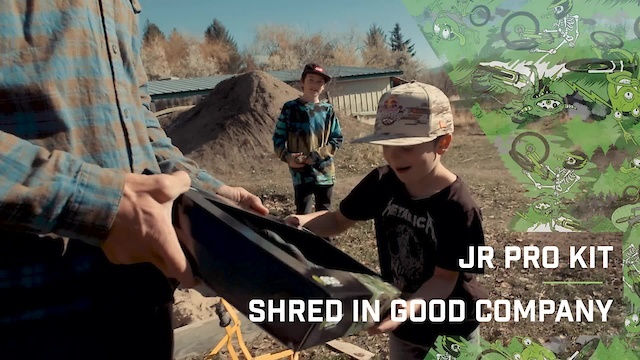 Anything that helps kids shred is cool by me! Thanks SDG from all of us parents who ride with our groms! Kind of heavy? Doesn't need to be super durable as 60lbs are on it. Light and cheap would be ideal. Press release? This kit was released back in july wasn't it? 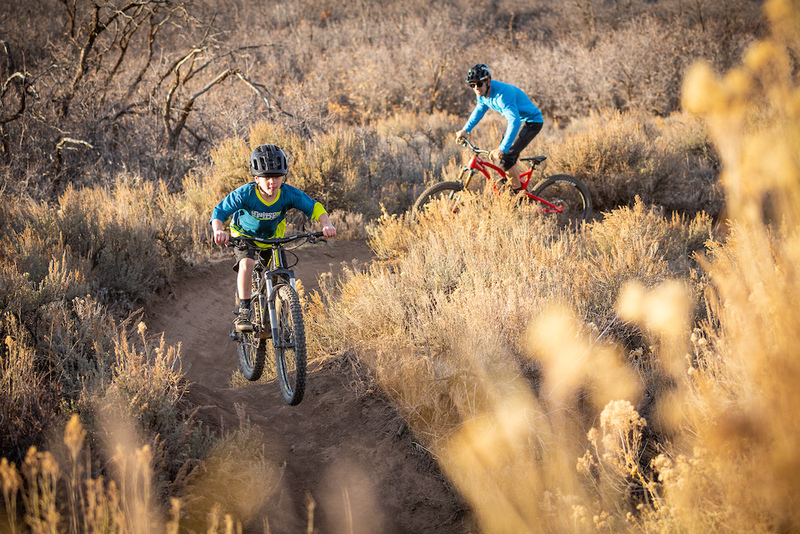 We showed a rough mock up of the kit at Sea Otter, but now officially launched. Since every part of the kit was designed and custom tooled by us, it takes a bit of time to get it to production. Got it.. my kids both run the saddles. They seem to like them so keep up the good work! Zink; greatest american hero, doin it fo da kids! well done SDG. That saddle looks like magic. Do they sell a la carte? Great product... Just wish it came in orange to match my daughters Norco! The bar and grips is interesting but £150 for a bar, saddle, pedals and grips is a bit much. Getting bars is not a problem. It is hard to find pedals. I will take a wasted CBros Mallet, will remove the mechanism, replace it with some big bush and it should work fine. The real problem with bikes for kids under 10 is lack of narrow cranksets and BBs. Yeah my daughter kind of deals with “adult” Qfactor but you can see it is not optimal. If this was a kit utilizing cheap off the shelf bars, grips, saddle and pedals then yes that would be true. However everything in the kit is quality (nylon composite pedals w/ replaceable bottom loading pins, custom tooled 6061 bar, synthetic leather and cordura saddle, etc.) and completely custom tooled by us to be optimized for smaller riders. If you add up comparable adult products MSRP, the $149.99 MSRP is totally fair. We totally get that the kit won't be for everyone, but plenty should see the value in this kit. Especially given how important your contact points are; even more so with growing riders. As for the price, when you are paying for it the “custom tooling” is irrelevant. Everything is custom tooled really so it’s no different to the current Alu bar I use. It’s £150 in the uk and that is shop price. @poah: I don't think you quite understand what custom tooling is. Custom tooling is more than just slapping your logo and colour on a component. In your opinion the kit is too expensive and that's fine as it's obviously not for you. Like @SDG-COMPONENTS stated above it's not for everyone, but those that understand the true value in this kit understand why $149.99 MSRP is a very fair price. @clapforcanadaa: tooling is irrelevant to the customer. The tooling that is used for my handlebar on my FS bike is different to the one on my HT. They are both custom to the company. you can't seem to read either. I said they it was expensive (it is here in the UK) I didn't say it wasn't for me. I already have a Fly jr saddle.